Paf betting platform is a Finnish gambling site ranked in top 50 of most famous betting sites in the world. The company was created in 1966 and is one of the largest operating in the Aland Islands (Finland). The online platform was launched in 1990. 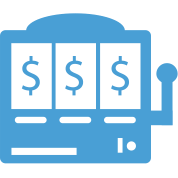 Gambling operations includes casinos, internet betting sites and gaming activities on cruise ferries. The company is famous for raising funds for humanitarian and other social causes on the Finnish islands. Growing in popularity the company made offices in Helsinki, Madrid, Milan, Stockholm and Tallinn. Thousands of online gambling enthusiasts joined the online platform through the years. Finally, in 2015 Paf decided to expand its business in Italy. There it acquired the Italian bookmaker “Wings”. The company was named the “most socially responsible gaming business” by e-gaming review awards in 2014. The largest jackpot won in online history (for slot machines) was 17,8 million euros, and it belonged to this site. This achievement was recorded in The Guinness Book of World Records. When you first enter the site, you’ll notice just how simple it is. 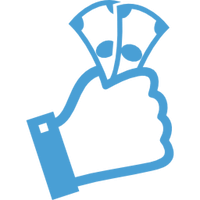 Everything is placed neatly, and you can find the desired bet with just a few clicks. The site creates a very friendly atmosphere with “Play among friends” statement above everything else on the platform. Quick links or “Shortcuts” as the site calls them will offer you the most famous betting options right at the top left part of the interface. The site offers sports betting, casino, lotteries, bingo and live casino. Of course as a European platform the Football sport comes on top, and there is a wide variety of leagues to choose from. You won’t notice it at first, but there is a very deep selection of sports market when you click on the “More Sports” link. You can even find Pesapallo, Bandy, Chess, Pool and many more rare markets you don’t usually find on other sites. Special events as politics are also covered and in the “Non-sports” section you can bet on TV shows, awards, and other famous events. Of course, there is a mobile platform for everyone that likes to place their bets while away from their desktop or laptop computers. All in all the site is very user-friendly, and you won’t have any troubles using it. In addition, players can enjoy excellent casino games – Blackjack, Roulette, video poker and many others. 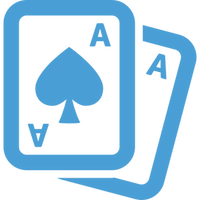 Separate poker room are also available for those who like to compete against other players. Lottery and bingo are also part of the entertainment selection. As an award winning site Paf betting offers a wide variety of betting odds to their users. Supported odds formats are Decimal (Europe) and the UK. Inside the site, you can find markets for Football such as Win, Correct score, Asian lines, Top goalscorer, Draw No Bet, Double Chance, Handicap, Second Half and Goal Interval. There are also Player Cards, Match Cards, Match Goals, Match stats and Fouls Committed. Specialty bets are also covered where you can bet on who will be the next FIFA president. Tennis has a Match Winner and Handicap betting options. For Basketball, you can find Over/Under, Half-Time, MVP award and many more. In terms of odds, Paf will not let you down, and you can find amazing odds on the most surprising events. The Finnish company has made sure the online experience of every player is enjoyable and hassle-free. The site has a secure encryption according to modern trends that ensure players their data will not be shared or stolen by third parties. Paf is very conscious about underage players and doesn’t allow any gambling if you’re under the age of 18 years. 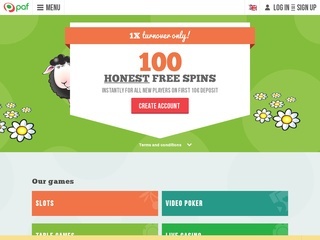 Everything on the site speaks about responsible gaming, and the owners encourage registered players to gamble for fun. Customer support is available 24/7, and while the site lacks a live chat support, it has many any other options to help their players. There is a free UK phone number you can reach, and the contact form is easy to submit. There is an email where you can send all questions concerning betting on the site or problems with deposits and withdrawals. The staff behind the contact methods is quite experienced and very well trained. They are also polite and friendly no matter how rude is the client. Deposits to your account can be made with all major fund transferring methods. You can use a Bank Transfer, a debit or credit card. Digital wallets as Moneybookers and Neteller are also supported. Currency the funds are transferred in is Euro. Minimum deposit amount for the site is €10. Withdrawals are made with pretty much the same method you transferred the funds to your account. Minimum deposit sum is also €10. No deposit fees are paid for transfer or withdrawal. Paf betting offers very tempting bonus offers to all new players who have decided to register an account. Depending on where you live you can get bonuses up to €100 cashback with making your first deposit. The bonus offers for new and already registered players are frequently updated. You can find a free bet up to €20 or another excellent offer depending the time you decide to register. The Poker bonus is very attractive – you can get up to €1,000 in bonuses for new players collecting a number of loyalty points required. With an excellent reputation and countless betting offers Paf has earned its place in the top bookmakers of the world.